MSBA’s management philosophy includes the belief that “what gets measured gets done!” Company leadership brings a history of management execution founded on continuously improving and effective work processes, meaningful performance metrics, timely data capture, measurement and analysis, and team-based problem solving. – Operate with high integrity, ethical and moral values. – Employ metric driven analytics to produce excellent products and services to exceed customer expectations. – Honesty and respect is the Hallmark of every relationship. – Team member contributions are valued and rewarded. – Encourage and support professional development and accountability. 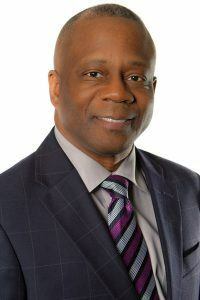 The Company President and Co-Founder contributes over 30 years of leadership and management experience as a Certified Public Accountant, Controller, General Manager, and President of a Fortune 500 company’s business unit with over 90 employees and $14,000,000 in annual revenues. MSB Analytics, Inc., has been awarded 39 Federal Government contracts, subcontracts, and task orders with a total value of $36,000,000. The Company is currently performing under 26 active contracts leveraging the motivated efforts of 60 professionals operating in seven states. MSBA is a Women Owned Small Business after successfully graduating from the SBA 8(a) Business Development Program in July 2017. Tharon Honeycutt is co-founder and President of MSB Analytics, Inc. In this capacity, he develops and executes plans to grow organizational revenues and profits, and supports local communities. His responsibilities include developing and executing strategic and operational plans to advance the Company’s mission and vision, promote the delivery of high-quality products and services to its customers, develop the Company’s workforce, support local communities, and grow organizational revenues and profits. Tharon is a dependable, people-oriented leader with high-integrity, over 30 years of business experience, and a proven track record of exceeding performance expectations. Prior to founding MSB Analytics, Inc., in 2006, Mr. Honeycutt was President and General Manager of WHNT‐TV in Huntsville, AL, where he was responsible for leading all operational, financial, workforce, and community service aspects of this multi‐million dollar television and Internet business with full profit and loss responsibility. At the New York Times Company in various television, newspaper, and Internet capacities since 1989, Honeycutt won the corporation‐wide Punch Sulzberger Leadership Award for 2001, which recognizes outstanding performance while reinforcing the Company’s core values. Between 1980 and 1989, Tharon worked as an auditor and manager in the San Francisco Bay Area offices of the international accounting firm of Price Waterhouse. Tharon earned a Bachelor of Science degree in Business Administration, emphasis in Accounting, from the University of San Francisco (CA) in 1980 and received his Certified Public Accountant certification in the State of California. 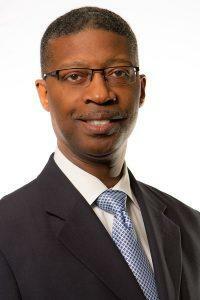 He is a graduate of Leadership Huntsville Madison County, Leadership Alabama, and numerous executive development programs, and he serves as a member of the Board of Directors of several not‐for‐profit organizations. Honeycutt is a 2003 McCormick Fellow of the McCormick Tribune Foundation. Tammy Blish co-founded the company in 2006 and, as Chief Executive Officer, leads the business which provides Programmatic, Multimedia, Training, Technical Solutions and IT Services, across Defense Organizations. She is responsible for overall leadership to position the Company at the forefront of the professional business and technical services industry supporting Government and commercial customers. Ms. Blish develops and executes strategic and operational plans to advance the company’s mission and vision, promote the delivery of high-quality products and services, develop the workforce, and grow organizational revenue and profitability while serving employees, customers and others for the betterment of the community. 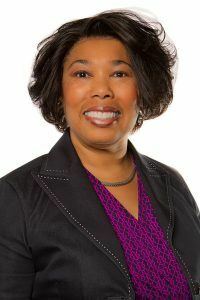 With extensive experience in operations, business management and customer sales and service, having worked at both Pillsbury and Honeywell corporations, she is a visionary, strategic thinker with a proven track record of conceptualizing and implementing business plans and marketing proposals that successfully address customer issues. Tammy Blish received her B.A Degree, Liberal Arts, Emphasis in Mass Media/Communications from the University of San Francisco (CA) in 1985. She is a graduate of the U.S. Small Business Administration, Emerging Leaders USA Leadership Development Program in 2017. Johnathon (John) Wilson became part of the team after serving with the U.S. Army. Mr. Wilson provides business development support to promote maximization of Company revenues. He also works, in conjunction with MSBA President Tharon Honeycutt, to identify new areas of growth. Mr. Wilson conducts market-based research, creates business development models based on his findings, and advises on long- and short-range strategic plans, proposals, special projects and on-going programs. He is responsible for building relationships with companies that he identifies as potential proposal teammates and teaming partners. He also is in charge of identifying talented and qualified individuals to include in the workforce proposed on upcoming opportunities. Mr. Wilson uses his past military experiences as an Army Division level Staff G-2/3 to gather intelligence aimed at increasing the probability of winning upcoming proposal opportunities. Prior to joining MSBA, Mr. Wilson retired from the U.S. Army as an Army Officer with over 30 years of service. He participated in Operations Desert Shield and Desert Storm as part of the retrograde operations in Saudi Arabia and Kuwait. Mr. Wilson also holds a Master of Leadership with a concentration in Business Ethics from Duquesne University, Pittsburgh, PA and a Bachelor of Arts from University of Cincinnati, Cincinnati, OH. He has been awarded the Southwest Asia Liberation Medal and he received a Yellow Belt and Green Belt Training Certificate. MSBA made the INC. 5000 List of fastest growing privately held companies for the third straight year. -Ranked according to revenue growth over 3 years.